WHAT: Rio Hondo College Fire Crew 77 was activated at noon Friday, July 7 to support U.S. Forest Service crews in the Angeles National Forest during the current heat wave. The activation is for 14 days. WHO: The team consists of 14 men and two women from Rio Hondo College’s Wildland Fire Academy. The team consists of 15 men and one woman who will serve as seasonal wildland Type II crew members, charged with assisting with all aspects of fire more monitoring, suppression and control. The crew was called up three times in summer 2016 to help the U.S. Forest Service. First, the team helped fight the Burro Fire, Pine Fire and Sage Fire. On its second rotation, the crew fought the Soberanes Fire. On the third rotation, the crew battled the Market Fire. DETAILS: Rio Hondo College’s Wildland Fire Academy is highly regarded within the industry, with 100 percent of graduates finding posts with wildland fire agencies. The program is overseen by Rio Hondo College Wildland and Fire Coordinator Tracy Rickman, who also serves as chief of Crew 77. RHC_FIRE_CREW_1: Fourteen men and two women from Rio Hondo College’s Wildland Fire Academy have been called up to support U.S. Forest Service crews in the Angeles National Forest for the next 14 days. The cadets will serve as Rio Hondo Fire Crew 77, nicknamed the Roadrunners. 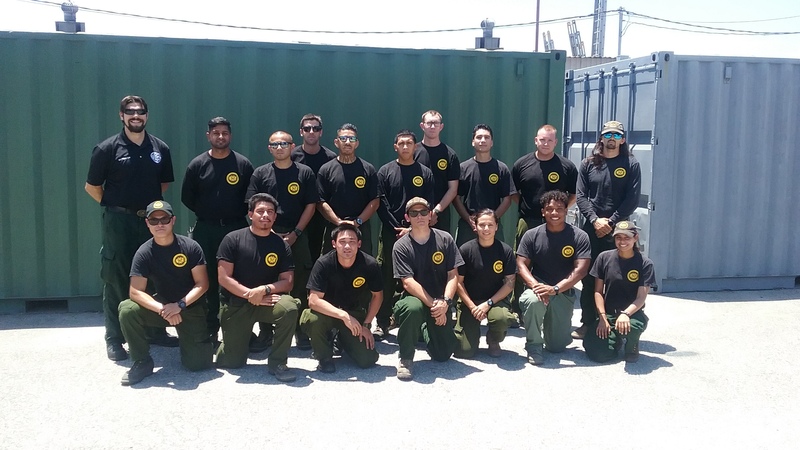 Fourteen men and two women from Rio Hondo College’s Wildland Fire Academy have been called up to support U.S. Forest Service crews in the Angeles National Forest for the next 14 days. The cadets will serve as Rio Hondo Fire Crew 77, nicknamed the Roadrunners.